We’re selling take out platters of Little Pub wings and trays of Little Pub chili for Super Bowl parties. 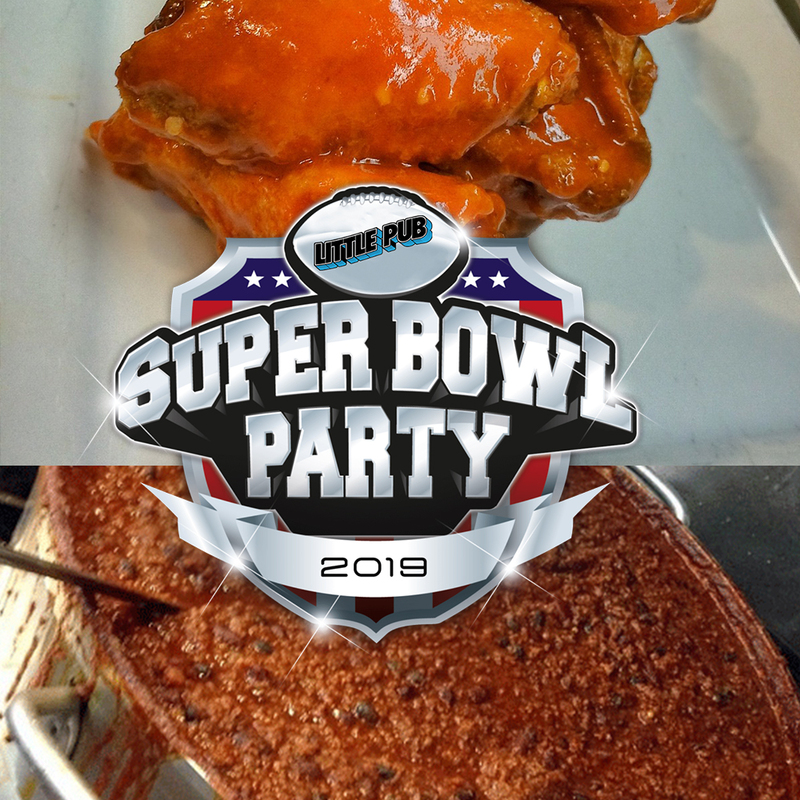 Your order can be half price, all you’ve got to do is pick a team to win Super Bowl LIII and place your Little Pub Super Bowl Chili or Super Bowl Wings take out order before 3pm on Friday Feb 1. Just circle the name of the team you are rooting for on the order form and return via email at info@littlepub.com or fax at 203-702-5116. You’ll pick up and pay for your order on Super Bowl Sunday Feb 3rd. If the team you picked wins Super Bowl LIII, you’ll get a gift card back for 50% of your order total. Too much pressure? You can still order after 3PM Friday, you just won’t be eligible for the sweepstakes. Fine print: Orders must be received by 3 PM Friday February 1 2019. Orders must be paid for prior to pick up on Sunday Feb 3rd. If the team chosen on the buyers order form wins the 2019 Super Bowl LIII that buyer will receive a Little Pub gift Equal to half the pre-tax amount of their purchase.